One of the biggest tracks in recent years on Mondo Records is back with a whole host of brand new mixes, to once again breathe life into this iconic classic in the making. 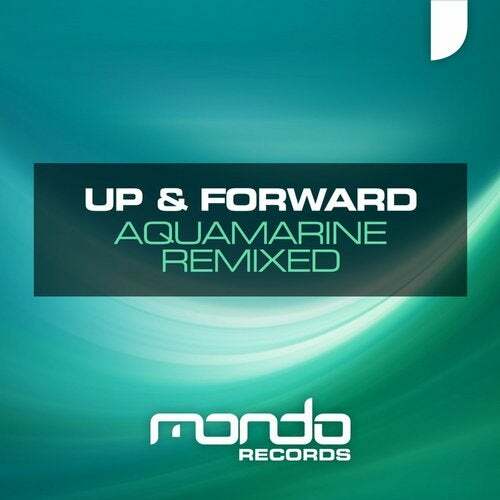 Up & Forward (championed by the likes of Armin van Buuren, Above & Beyond, Gareth Emery and many more) 'Aquamarine' is back with a stellar remix package that is a guaranteed crowd pleaser. The package opens with a spine tingling uplifting mix from Edelways, which is neatly followed up by two progressive interpretations from Andi Vax. Neutral Points drops an exquisite, melodic drum & bass remake, which really shows how diverse the original melody is. The Orange and Fandy both turn in two lush progressive remixes and 3D Stas delivers a massive breakbeat reworking, which is simply breath taking. To round out the package, Nick Bogorosh serves up a divine acoustic version for those laid back, chilled moments.